48 quadratic ready to use slots for all miniatures and paint / color pots. 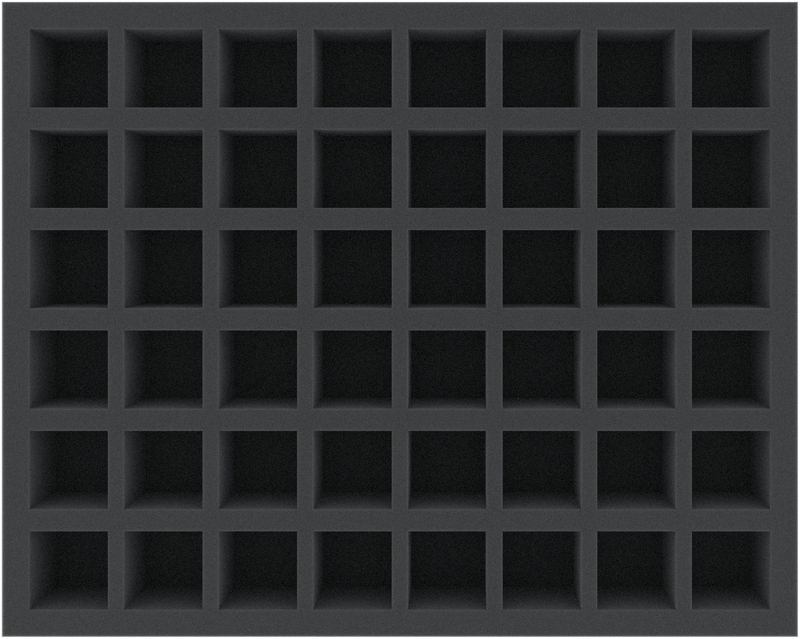 Perfect ready to use foam tray with 48 quadratic (34mm x 34mm) for all minis with a 25mm or 30mm round or quadratic base. The 50 mm depth of the foam is result from 10 mm foam base and a foam tray with 40 mm effective usable thickness.. 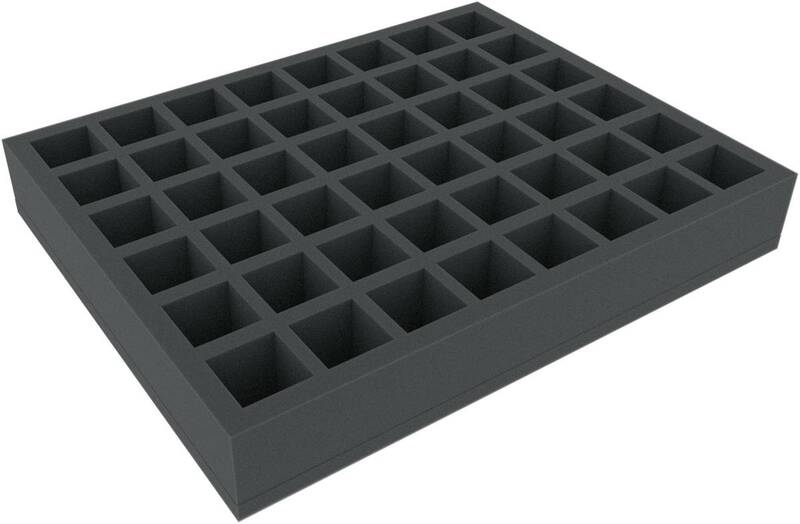 This foam tray is also the perfect solution for your Games Workshop Citadel Colors paint pots.